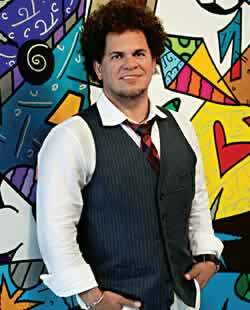 The students will learn about Brazilian born artist, Romero Britto, and his pop art style of art. The students will learn about color and pattern, and will then create their own pop art on inflatable soccer balls! The World Cup country that you are studying is Brazil. It is located in South America and was the host country of the 2014 World Cup! We are going to learn about a famous Brazilian artist, Romero Britto, and then we will be re-creating his artwork on a soccer ball to commemorate World Cup 2018! 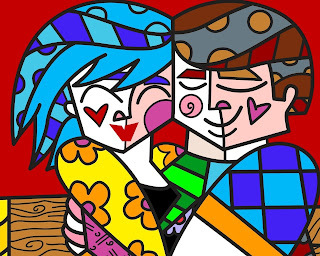 ROMERO BRITTO was born the 6th of October in Recife, Brazil. He displayed signs of being an artist at a very young age and he taught himself art by painting on newspapers. Britto is a respected pop artist who is known for his vibrant colors and elements of cubism. 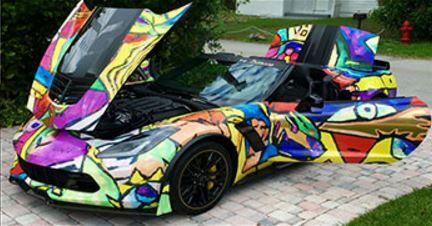 Britto's work has been exhibited in galleries and museums in over 100 countries, and his works sell for millions of dollars. Britto has created art for a number of corporations for their advertising, including a Britto car! Aren’t those great cars?! What do you notice about them? What catches your eye? 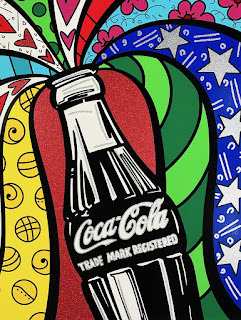 Pop Art began in the 1950s, but became very popular in the 1960s. It started in the United Kingdom, but became a true art movement in New York City. Pop Art uses images that are popular in the modern world. This includes famous celebrities like movie stars and rock stars, commercial items like soup cans and soft drinks, comic books, and any other items that are popular in the commercial world. 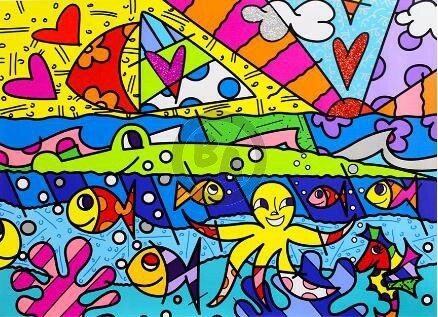 There are a number of ways that artists use these items to create art such as repeating the item over and over again, changing the color or texture of the item, and putting different items together to make a picture. Let’s look a little closer at Britto’s art. 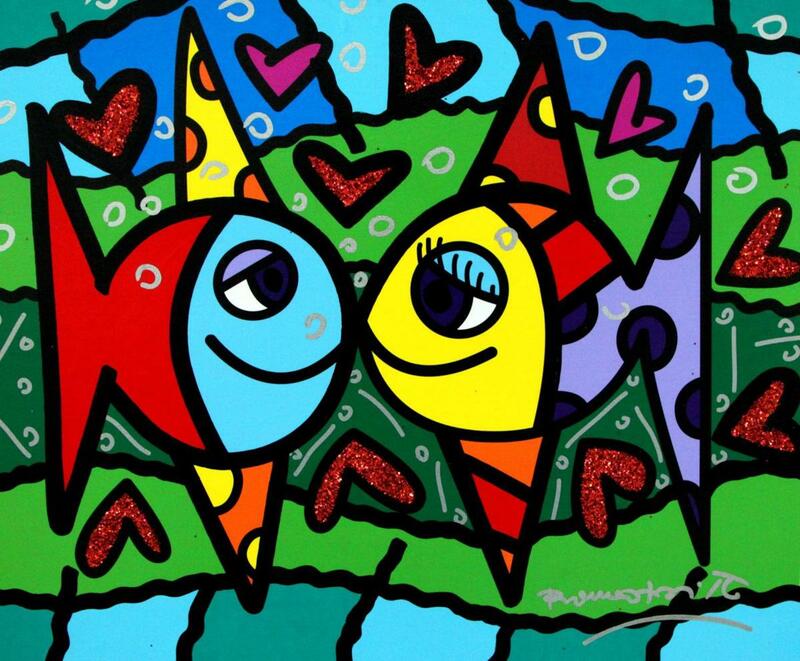 Britto creates patterns and dark, bold lines in his artwork, using bright colors. What makes something a pattern? 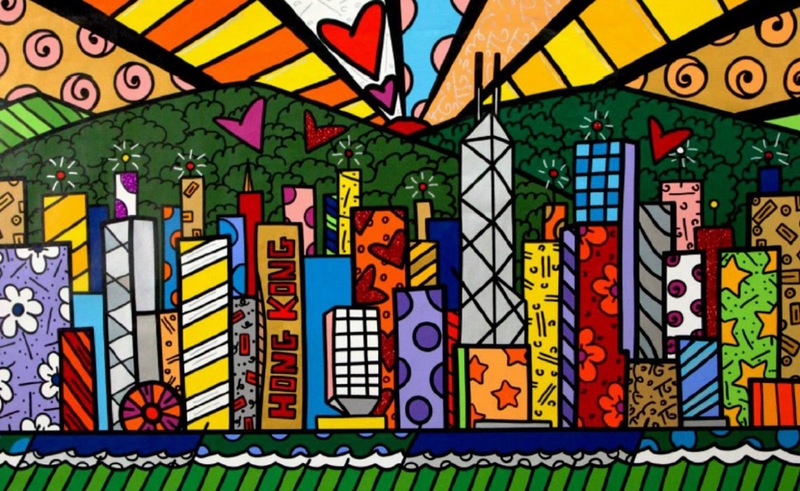 How do the lines in the artwork help to break up a pattern? How do the colors work together in Britto’s artwork? 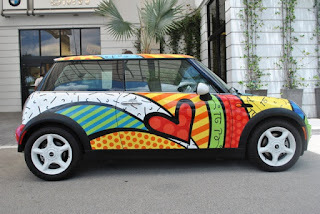 [Show a few examples of patterns to get them started, and thinking outside the usual polka dots and stripes – stripes, squiggly lines, flowers]. 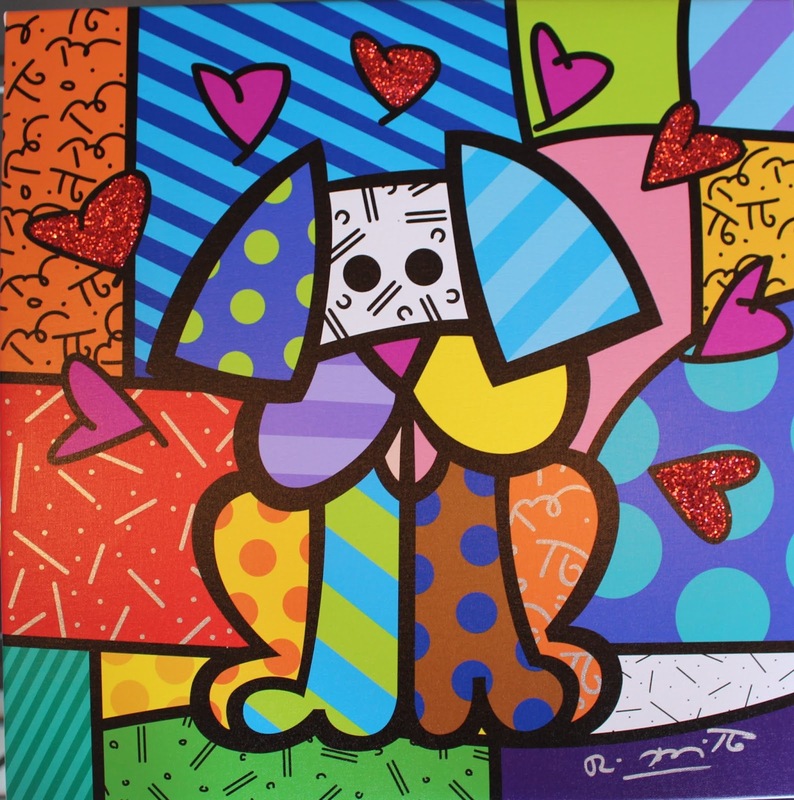 Today we are going to create pop art on soccer balls using Romero Britto as our example. 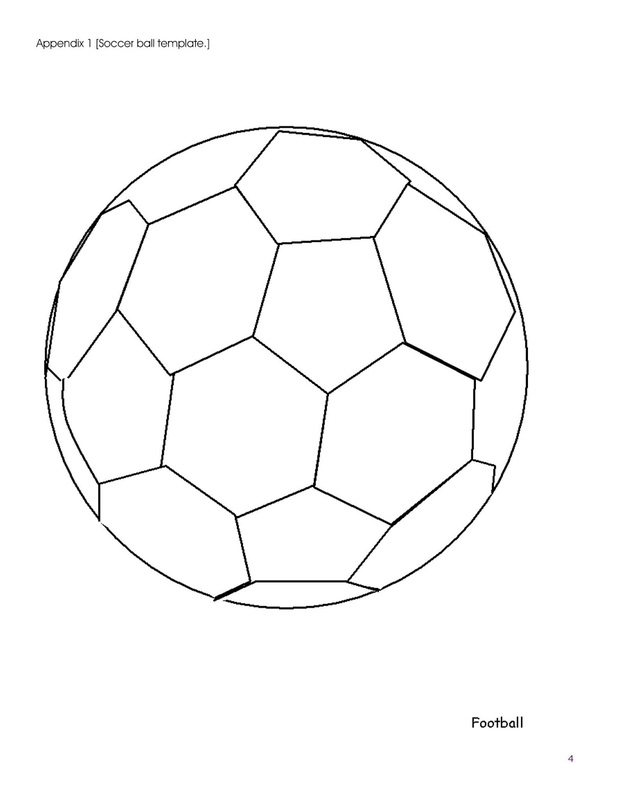 Look at the soccer ball – it has a pattern of hexagonal black squares already on it. We are going to fill in the white space with color and other patterns. But before we create on our World Cup soccer balls, we are going to use a printed soccer ball picture to get our ideas down on paper. Pre-Prep. Inflate soccer balls with pumps while lead is completing the lesson and the artists are sketching. Step 1. 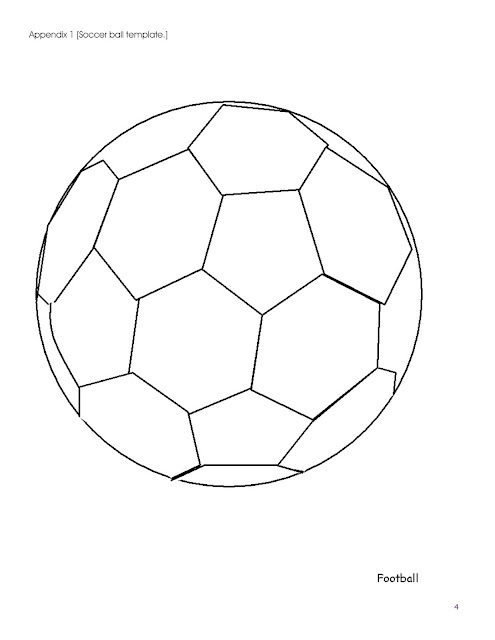 Hand out a soccer ball template to each student. Have the students pull out their colored pencils and start putting their ideas on paper. Give them about 10 minutes to draw and think about how they want their soccer balls to look. 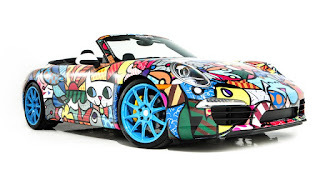 Have the Britto books and examples of art available for the students to draw inspiration from. Step 2. When the students have completed their ideas, hand out an inflated soccer ball to each of them. 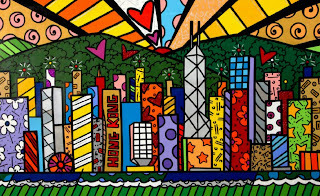 The students will be using Sharpie brush and/or chisel markers to create the background of their designs. Encourage the students to use lots of colors – we want these soccer balls to stand out! Step 3. After creating the background colors, have the students use black Sharpie markers to create their patterns. Patterns will be very important - encourage them to draw hearts, triangles, lines, etc. like Romero Britto! This isn't just coloring backgrounds, but making the patterns stand out! Step 5. Make sure that the students sign their artwork!